Get Through Cold and Flu Season with Culturelle Probiotics! I am a big advocate for supplements in everyone's diet. Whether you are a child, adult or anywhere in between you need supplements on a daily basis to get the nutrients your body needs - especially during the winter months in the Northern states that I live in where it is gloomy and cold for almost half the year! I make sure to always add in at least a multi-vitamin, Vitamin C and a probiotic in my daily routine for both myself and my children! I really love probiotics because they do so much for the body - they promote good digestion and they are great for your immunity too! So which probiotic do I reach for? 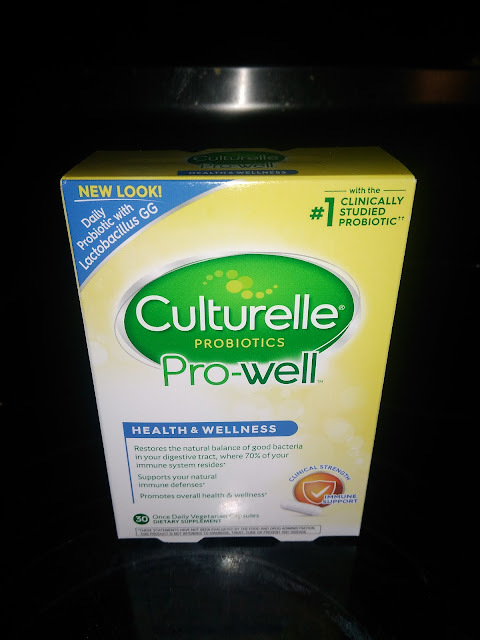 Culturelle Pro-Well Probiotics have been my probiotic of choice lately and I am loving them! They have several different options within the Pro-Well line and each one has such great benefits for the body! Culturelle® Pro-Well® Immune + Energy is my choice when I feel a cold or illness coming on! If I need to get through the day while fighting whatever I have coming on, then I reach for the Immune + Energy probiotics! It is formulated with ingredients that work naturally with your body to promote overall health and normal energy production. The Immune + Energy includes 10 billion live active cultures of the #1 clinically studied probiotic, Lactobacillus rhamnosus GG (LGG®) and it helps to safely restore the natural balance of good bacteria in your digestive tract, where 70% of our immune system lives. Plus, it contains Vitamin C and Vitamin B so it really gives my immune system the boost I need! 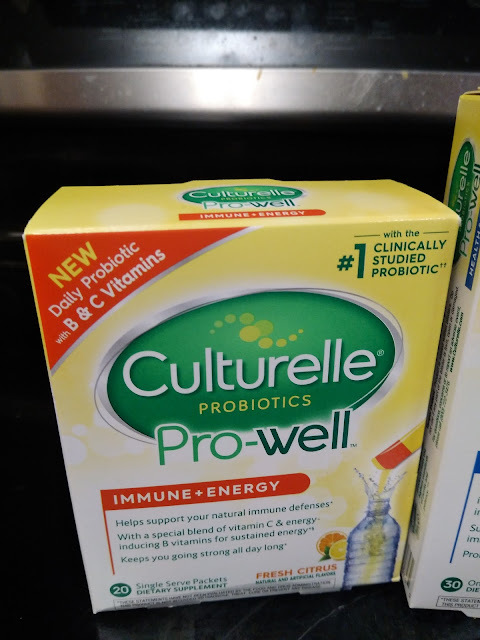 And to restore my body after an illness or after taking antibiotics, I reach for Culturelle® Pro-Well® Health & Wellness which safely and naturally restores the balance of good bacteria and non-beneficial bacteria in your digestive tract, where 70% of the body’s immune system resides. Balancing the bacteria in the intestines not only helps optimize your immune system and supports your natural defenses, but also helps your digestive system work better. With 15 billion live active cultures of 100% Lactobacillus rhamnosus GG (LGG®), the most clinically studied probiotic strain, each capsule contains a clinical strength serving of probiotics. 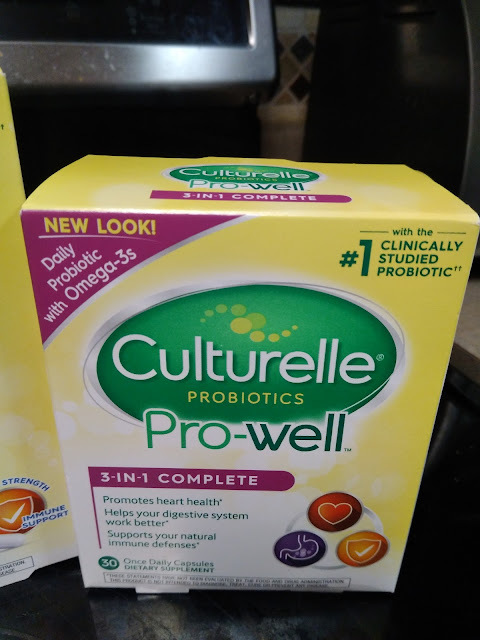 And when I need it all - increase my immune health, increase my digestive healthy and promote heart health, I reach for Culturelle® Pro-Well® 3-in-1 Complete because it helps support your health in three ways! 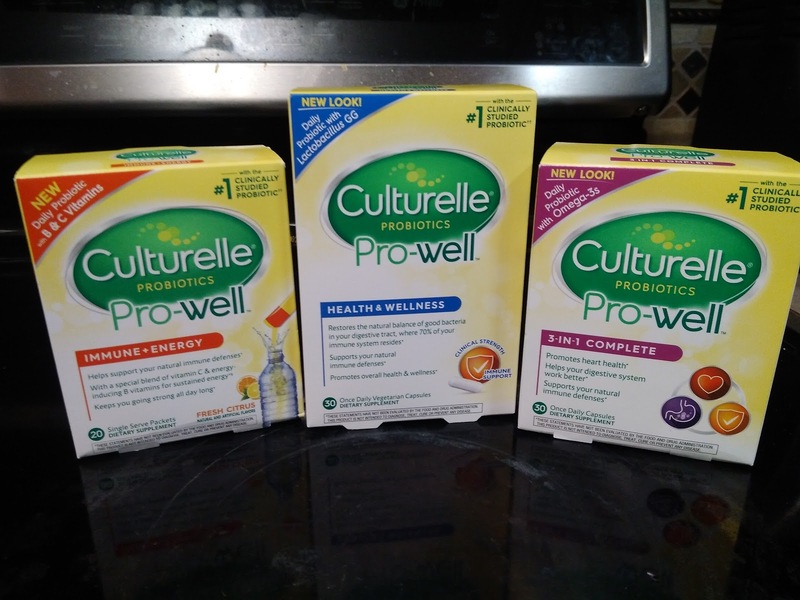 So as you can see Culturelle Pro-Well has a probiotic for all times of the year and for all the ways you are feeling and they are especially great to have on hand during cold and flu season! They will help fight those bacteria and restore your gut health after illness! Definitely get some Culturelle on hand for these upcoming months of cold and flu season! You can purchase Culturelle Pro-Well at your local store.